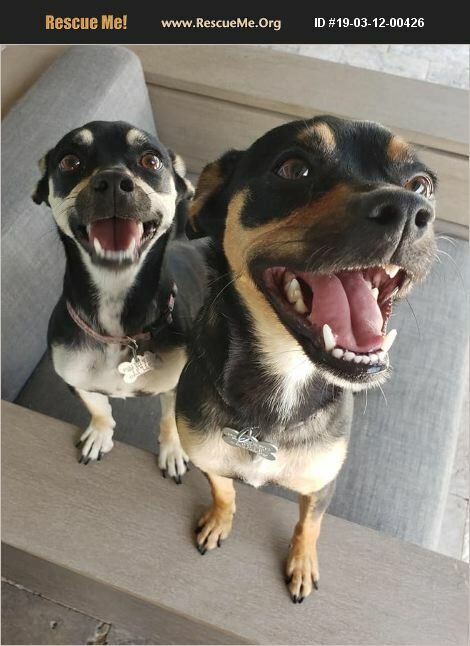 Karamel and Koko are a pair of darling 1 year old Chihuahua mixes looking for their forever home together. Koko is the smaller of the two and weighs 11 pounds and Karamel weighs 13 pounds, both girls are full grown. They are shy girls that will need time and patience to come out of their shells in a new environment. They are good with men, women, and have lived with children as young as 5 years old. Both girls are good with other small dogs their size, but wouldn't mind being the only canines in the home. Karamel and Koko are house broken, kennel trained, and ride well in the car. Both girls may need some practice on a leash before they are comfortable enough to go for walks with their people. They are spayed, up to date on vaccines, microchipped, and vet checked. Their adoption comes with 30 days of free pet insurance, and comes with a free vet visit. Their adoption fee is $350 for the pair. Come to our location at 1102 W. Hatcher Road in Phoenix 85021, open Tues-Sunday 11am to 6pm. On weekends, give us a call for the dogs location as we have off site adoption events that some of our dogs attend, 602-944-2440.